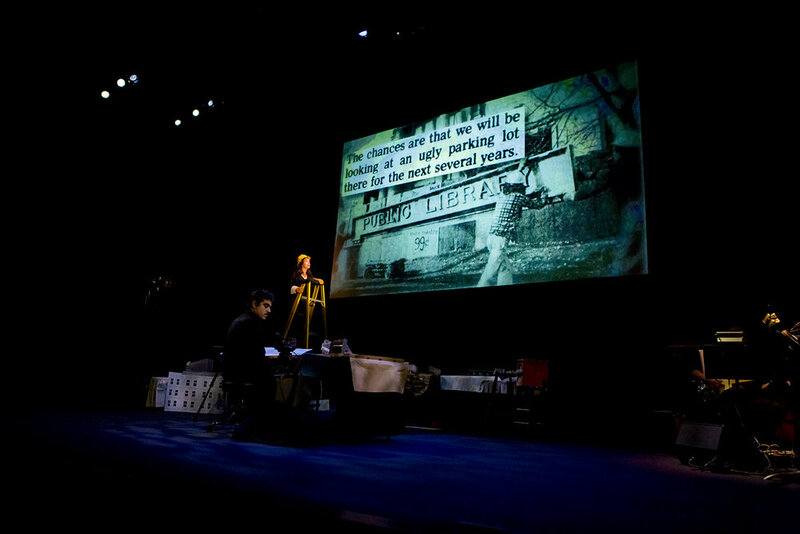 After having gathered stories of main streets and downtowns in every province and territory in Canada, we produced a nationally-touring theatre production that recapped the journey. The Tale of a Town – Canada features some of the thousands of voices recorded on our three-year storygathering tour of the country. 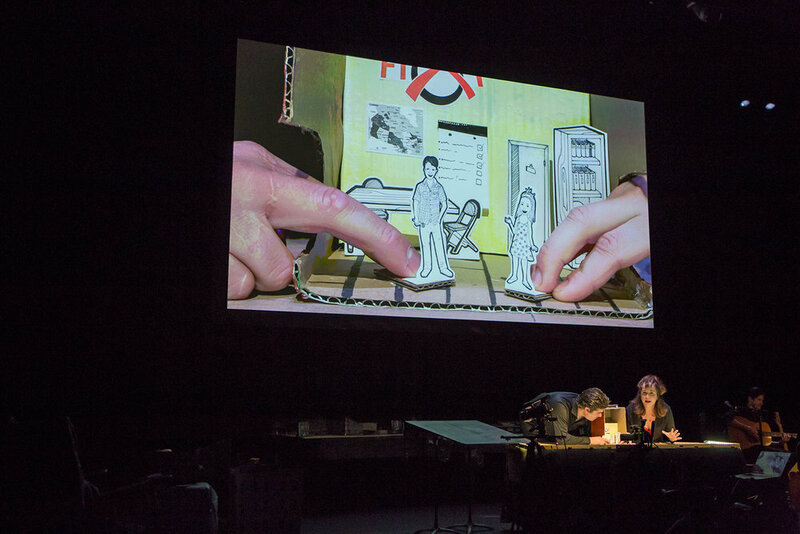 This multimedia performance was presented alongside personal anecdotes from our epic family adventure peppered with humour, nostalgia and moments of madness. Featuring interview audio, original music, puppetry, live video, and (of course) audience participation, The Tale of a Town – Canada was developed in collaboration with artists from across the country, and each stop included a local choir, a live band, and surprise appearances from local notables. Our nine-city national tour took us to Oakville, Fredericton, Yellowknife, Medicine Hat, Toronto, Milton, St. Catharines, Kingston, and Burlington. The Tale of a Town - Canada was developed with support from the Esplanade Arts and Heritage Centre and National Arts Centre, and funded in part by the Ontario Arts Council and Toronto Arts Council. The national tour was made possible through the support of our local presenting partners the Oakville Centre for the Performing Arts, Fredericton Playhouse, Northern Arts and Cultural Centre, Theatre Passe Muraille, FirstOntario Arts Centre Milton, FirstOntario Performing Arts Centre, The Grand Theatre, and The Burlington Performing Arts Centre. With workshop dramaturgy by Treasa Levasseur, Dylan Tate-Howarth & Kari Pederson, and original music by Joe Lapinski, Jack McCreath, Treasa Levasseur, and Corin Raymond. We were joined along the tour by local musicians Tragedy Ann (all Ontario stops), Andrea Bettger, Michael Doherty, Garry Hanson, Casey Koyczan, Joe Lapinski, Danielle Lennon, Adam Paolozza, David Parker, Sheldon Valleau, and local choirs My Pop Choir (led by Alex Fiddes), the Fredericton Chorale (led by Mike Doherty), Ursa Miners, Medicine Hat High School Choir, the Toronto Theatre Passe Muraille choir, and Hometown Harmony (led by Linda Hilko).